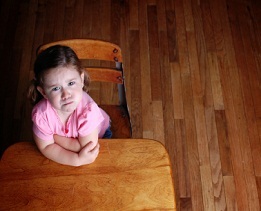 Can't agree upon schooling options for your child upon separation? Can’t agree upon schooling options for your child upon separation? The choice of school to enrol your child in is regarded as a major long- term issue by the Family Law Courts. In the absence of any Court Orders to the contrary, any decision about enrolment should be made jointly by both parents. This means that parents should consult with each other and jointly come to a decision about which school their child will attend. Where possible, both parents should sign school enrolment forms. So what will happen if you can’t agree on which school to enrol your child in and there are no Court Orders in place? Sometimes, one parent will attempt to enrol a child without the consent of the other parent. There is no requirement for schools to independently establish that any decision to enrol a child in a particular school has been made jointly by both parents. So if the school is not put on notice of the dispute the Principal will proceed to enrol the child irrespective of whether or not both parents have signed the enrolment form. However, if the Principal is made aware of the dispute and the child is already enrolled in a different school, then the Principal can only enroll the child on a short-term and part-time basis (i.e. for no longer than one term). This will allow time for any dispute between the parents to be resolved either by agreement or by Court Order. If you become aware that your ex has enrolled your child in a school without your consent, you should immediately contact the school and let them know that you do not consent to your child being enrolled in that school. This will put the Principal on notice and the child will not be able to be permanently enrolled until the dispute is resolved. You should then immediately attempt to negotiate a choice of school with your ex, you may require the assistance of a mediator or solicitor to resolve your dispute. If you cannot reach agreement, then you may need to obtain a Court Order. When obtaining any Court Order you should ensure that specific provision is made for both parents to agree in writing prior to your child being enrolled in any school. What if there are Court Orders in place? If there are Court Orders in place or if there is a Parenting Plan (signed by both parents) (Orders), then you should comply with the terms of the Orders. If the Orders specifically state that both parents must agree before enrolling the child in school, then you should provide a copy of the Orders to the relevant school and the school should insist that both parents sign the enrolment form. If either parent attempts to enrol the child in a school without the written consent of the other parent, then they would be in breach of the Orders. If the Orders are silent on whether both parents need to agree, but include that the parents have “joint parental responsibility for major long terms issues” then both parents should still sign the enrolment form. However, if you and your ex cannot agree on the choice of school, then you should seek assistance from a mediator or solicitor to resolve the dispute. It is not a matter for the Principal of a school to determine disputes between parents regarding enrolment of children. If you are separated, and your child is due to commence or change schools, you should attempt to agree in writing on the choice of school well before the commencement of the next school year. In circumstances where there is a dispute and no Court Orders, you should obtain advice from a solicitor as soon as possible to ensure ample time to resolve the dispute prior to the due enrolment date.